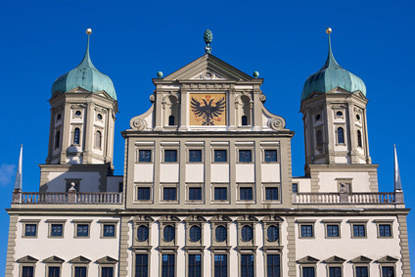 Germany's third oldest city, Augsburg was founded on the orders of Roman Emperor Augustus. Flourishing in the Renaissance, the city was home to wealthy merchant families like the Welser and Fugger, nicknamed the bankers of Europe. In 1555, Peace of Augsburg officially ended the religious struggle between Catholics and Protestants (for a while).